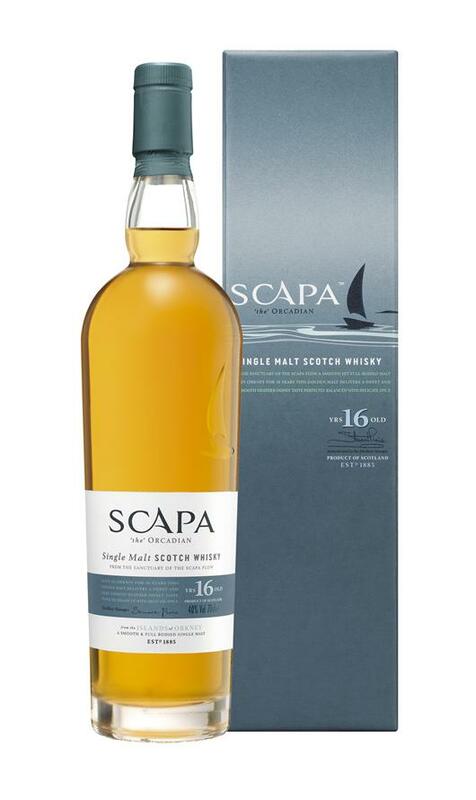 Scapa Single Malt Scotch Whisky from the remote Orkney Isles, is well known for its unique heather and honey flavour – in contrast to the normally robust island malts from other parts of Scotland. This very special, small distillery, with only 2 Stills, and has been through a careful rebuilding program to restore it to full time production once again. Without this it would fall silent forever. 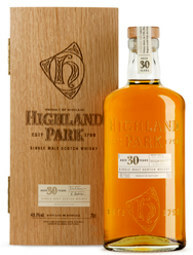 A Legend Reborn: To any single malt lover the closure of any distillery is a tragedy. 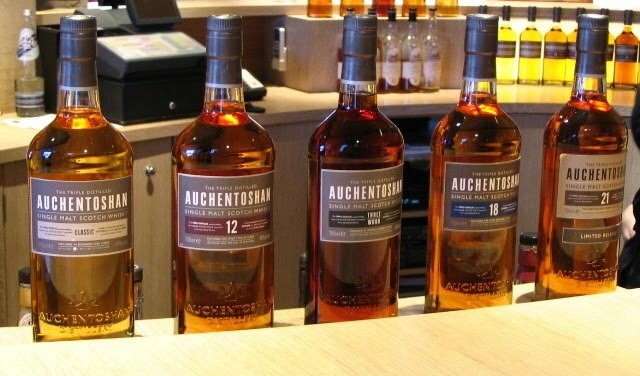 A unique expression of this most wonderful of all spirits is lost forever as no single malt can ever be ‘re-developed’ elsewhere. Such are the complex mysteries of distilling intertwined with each distilleries unique location. Indeed few locations we believe are quite as magical as the Orkney Isles. An archipelago of 70 islands, Scapa is located on what is called the Orkney Mainland – despite being one of the islands, it is named as such as it is the biggest of all. Although remote, lying to the North of mainland Scotland, the Orkney Isles have a particularly rich and intriguing history, dating back to at least 5,000 BC. The Vikings arrived in Shetland and the Orkneys in the 8th and 9th centuries and ruled for the next 600 years. In 1468 the islands were effectively sold to James II of Scotland by the king of Denmark. Today the Orkney Isles encompass a wealth of historic sites from bronze age burial mound and villages to standing stones and ancient churches and a wealth of natural history, particularly bird and sea-life. The history of Scapa distillery itself began in 1885. The very remoteness of the islands meant that they were perhaps not the most obvious location to create a new distillery – especially for a partnership with a history of distilling in Speyside. However this is exactly what Macfarlane and Townsend did. The reputation of the islanders for hard work and an entrepreneurial character may well have been one of the factors, along with the special character of malt whisky they believed could be produced at Scapa. The exact reasons for Scapa’s precise location, overlooking Scapa Bay however, are lost in time. However there is little doubt that the location is a special one. Alfred Barnard in his classic Whisky Distilleries of the United Kingdom described the scene in 1887 in poetic terms, ‘But the beautiful seascape somewhat compensates for this loss (of trees), for sparkling in the bright sunshine are the white sails of ships, and boats manned by crews who know every creek on the coast, and whose voices can be heard singing the favourite ‘Orkney Boatman’s Song’. Interestingly Barnard describes the production as being 40,000 gallons per year or 184,000 litres – the same production that is planned today. In 1919 Scapa became the property of the Scapa Distillery Company Limited, having been an unusual billet for ratings from the Royal Navy, based at Scapa Flow, during the First World War. Eventually it was sold to Hiram Walker in 1954. January 2004 was a defining time for Scapa single malt – not for the first time but unquestionably the last it was faced with closure. A choice had to be made between the expense of trying to re-furbish a distillery to the latest legislative requirements or simply allow it to pass into history. The real question being what value should be placed on over a century of the distillers art? The end result was one-sided. A decision was made to re-furbish and restore the distillery to ensure its long-term survival, hopefully for at least another 100 years. The refurbishment is focused on quality, the distillery only produces for single malts and will remain a very small operation. Scapa is now saved for the foreseeable future. We have taken our distillery from a mothballed and rundown state to the momentous event in late November 2004 when the first new spirit flowed. Work of course will continue well into the next few years to complete the total renovation. Scapa, is a whisky to be enjoyed not endured. MacFarlane and Townsend the Scapa creators managed to capture all this in their whisky. Take a sip and you can imagine yourself amongst the heather and gorse watching the sun slowly setting over these beautiful rolling hills and the endless sea as they must have well over 100 years ago.